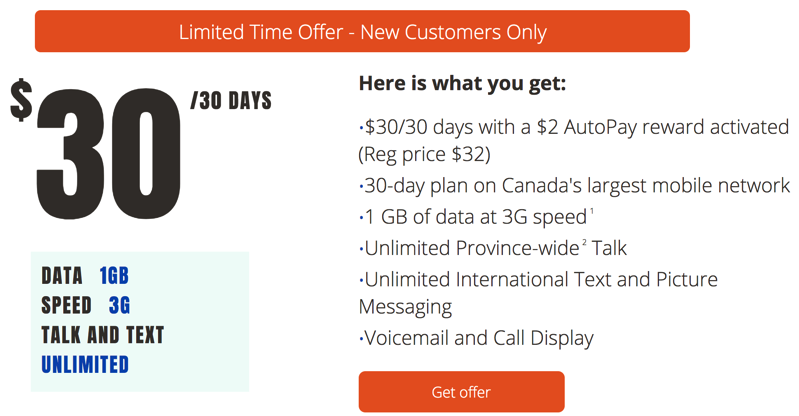 Telus prepaid brand Public Mobile has launched a new 30 day plan promo, offering unlimited province-wide talk for $32 ($30 after $2 AutoPay discount) and 1GB of 3GB data. Yes, 3G data and not LTE data. The plan also includes unlimited international SMS/MMS, voicemail and call display. The plan is only available for new customers. A comparable plan from Rogers prepaid brand Chatr would cost $40 per month, with 1GB of 3G data (currently there’s a 500MB data bonus), but it includes unlimited nationwide talk. These plans are targeting customers who want a prepaid service and use data sparingly, as heavy users would easily blow past 1GB of data per month. Public Mobile has recently pushed hard to move its customers over to postpaid plans on Koodo. 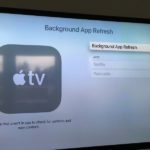 It recently tried to increase the price of its coveted $40/4GB promo plan, but reversed its decision after customer outcry. Its latest attempt to make $40/4GB users switch to Koodo includes a $40/6GB plan with a one-time $100 credit.